There is no better way to explore Cairns than by joining our exclusive Cairns Tour Package. Including a cruise to The Great Barrier Reef and the Daintree Rainforest, this package takes you to the two must visit destinations of Cairns. The Great Barrier Reef Tour will take you to explore two incredible dive sites on the Outer Reef, where you'll learn about the fascinating sea life of this unparalleled ecosystem. Swim amongst turtles and a plethora of colourful fish species, exploring the vibrant coral gardens. The tour includes snorkelling equipment, lunch, reef taxes and more. Explore the amazing beauty of the Daintree Rainforest on the Cape Tribulation and Daintree Tour with Mossman Gorge. Spot wildlife on an eco-accredited river cruise, take a guided rainforest walk along the Marrdja Boardwalk, explore Cape Tribulation Beach and much more on this exciting day tour. Book this great value Cairns Tour Package today! The Great Barrier Reef is home to many islands, Fitzroy Island being one of the most beautiful. On our 1 Day Fitzroy Island Tour, you can spend the day on the island however you like, whether it be going for a walk through the rainforest, kayaking and snorkelling or soaking up the sun and relaxing on the beach. A day trip to Fitzroy Island is the perfect way to spend your day. Our 1 Day Atherton Tablelands Tour from Cairns is a day full of action-packed adventure! The Atherton Tablelands are located South-West of Cairns, and truly express the beauty of the region. The Atherton Tablelands consist of exotic waterfalls, majestic mountains, breathtaking lakes and is home to some of Australia's most beloved native wildlife. We’ll take you to discover the pristine waterfalls including Milla Millaa and Josephine Falls, enjoy a dip at Lake Eacham and loads more. The Atherton Tablelands maintains a beautiful temperature throughout the year, which makes our 1 Day Atherton Tablelands Tour the ideal adventure all year round! Book your tour with us today! Green Island is a not to be missed adventure for anyone looking for a memorable Cairns tour. Green Island is located 27 kilometres offshore from Cairns, surrounded by coral reef protected in the Green Island National Park. This tropical rainforest island is the perfect Cairns Tour for all adventurers, travellers and families. A modern, state of the art catamaran will have you in paradise in 45 minutes where you can spend the day snorkelling, enjoying ocean views through the glass bottom boat or participating in a host of other activities. What better way to spend an evening than with our most popular Cairns Tour? Enjoy a quiet drink whilst absorbing the magnificent sunset of the Cairns Harbour on this unique Cairns Tour. 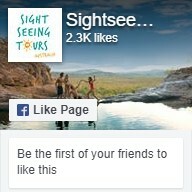 If you’re looking for a Cairns Tour with a difference, this surely is it. The Cairns Sunset Tour departs daily and includes a complementary drink upon arrival, nibbles and an unrivalled panoramic view of the sunset over this magical city. You can make it a truly special evening by upgrading to the dinner package at the waterfront Dundees Restaurant. No visit to Cairns is complete without a trip to the Great Barrier Reef. This magical underwater paradise is the largest coral reef system in the world, one of the seven natural wonders and a world heritage listed area. An exciting mecca of beauty, nature and colourful coral, the Great Barrier Reef is home to a plethora of unique sea life. We provide a number of different tour options that will suit all tastes and budgets from a 1-day cruise to a 3-day liveaboard experience. Whether you are a first-time snorkeler or an experienced certified diver, we have a Great Barrier Reef tour for you. Join one of our tours from Cairns to tick this natural wonder off your bucket list. The Daintree Rainforest is a world heritage listed region of tropical north Queensland, filled with rare plant and wildlife species. Located north of Cairns between Bloomfield River and Mossman Gorge the Daintree National Park opens up showcasing the spectacular Cape Tribulation. We offer both 1-day Cape Tribulation and Daintree Rainforest Tours and a 2-day Daintree Rainforest Tour that reveal this tropical paradise at its best and are perfect for those wondering what to do in Cairns. Our tours depart daily and include lunch and a crocodile spotting river cruise.